Artlantis Design Studio is a privately held company founded in 1998. We are headquartered in Turkey and have an office in New Jersey. Our customer portfolio is e-commerce organizations, health and beauty, the music industry, composed of industry and construction sector. Our team has made a commitment to not do business “as usual”. Artlantis Design Studio was created on the idea of creating holistic, interactive solutions - solutions that integrate with brand identity, solutions that take services from idea to final product, and solutions that marry creativity and technology seamlessly. Customized projects. Our staff gets to know each company so that we can offer content and design that suits the company - not a generic idea of the industry. Whatever the scope of each project we create a solution that is designed to meet your needs. Complete solutions. You don’t need a brochure - or a web site or web content. Your company needs results. That’s why we provide turnkey solutions that take you from idea to completed project. Our professionals work to make sure that every project you hire us for leverages your existing resources. Professional work. Our writers don’t design web sites. Our programmers won’t be in charge of your marketing. We assign the right professionals to each part of your project for the very highest quality results. We have a carefully selected staff of professional designers, writers, developers, project managers, and marketers who are constantly continuing their education. This ensures that you get the best results by having the right team on board. Creative web pages, secure and user-friendly! Also we offer you responsive technologies. We are carrying your company's works to online platform. We are helping to promote your company and your products on Facebook, Twitter, Google+ etc..
We will give you creative designs with search engine optimization. 3D modelling for your products and architectural works. Flash animated designs for your company or personal works. We love illustrating, anything from simple icons to complete marketing campaigns. Production service for personal or commercial product photography. Image editing, image enhancement, image restoration, image restoration and image editing / clipping services. Business cards, leaflets, flyers or other print service you are looking for - we're here for you! We carry documents to digital media. We offer products or existing catalogs on the web. Professional reseller and dedicated hosting services. 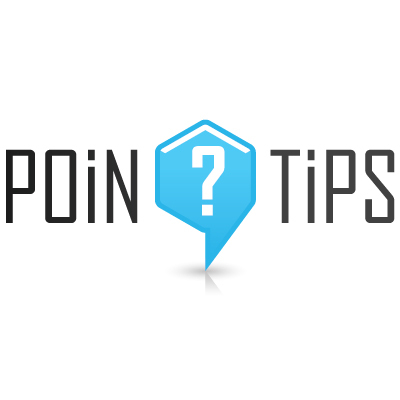 poinTips is a simple helper tool for developers. It's pop-up manager for hints, similar with your project-based field hint pops but its has more advanced tools for every projects thats you created! They want service their way, their time. Put your best content in your works for customers to access any time. poinTips will automatically give answers when they get confused on some sections. Now that’s instant. Try it free!